The RollePro™ WrapidGlide™ Squeegee Covers apply quickly and easily to your favorite squeegee so that you are not stuck using a squeegee that is softer or stiffer than you prefer just because it comes pre-covered. Each protective storage tube contains 10 individual "peel and stick" squeegee covers. Fleece is similar, but softer, like the feeling of suede. 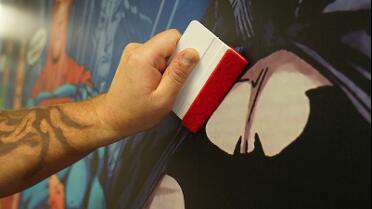 Prevents scratches and marring of the vinyl.